If you’re new to skiing, you don’t want to start off on the wrong ski… or board… or whatever you plan to use. So we asked some snow bunnies we know to recommend the best resorts in Europe for beginners. 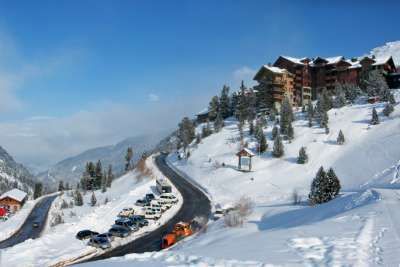 You want snow-sure resorts, with good ski schools and easy access to a variety of gentle, wide slopes. And most importantly you want somewhere cheap! Newbies may have to face a few stumbles on the slopes, but it shouldn’t wipeout your bank balance. The terrain at Seefeld in Austria is both lower and flatter than other resorts, which is exactly what you want when you're still gaining confidence on your skis. 50% of the slopes are rated easy, and a further 40% are ok for improving beginners - something to aim for at the end of your trip! If you're interested in affordable ski holidays then Bulgaria has to be on your list. In other good news for beginners, 30% of Bansko's runs are suited to ski novices and there are natural hot springs in neighbouring Banya - which your tired muscles will appreciate after a day on the slopes! 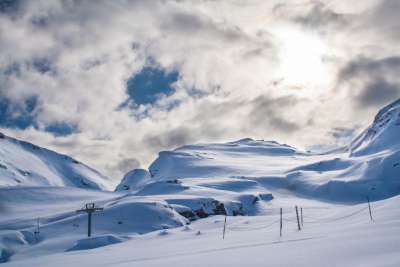 Probably the best-known resort in the Pyrenees, and set in the teeny tax-free haven of Andorra, Soldeu is a good-time resort where it won't cost you the earth to find out what this skiing lark is all about. Beginners will also be happy to hear that the ski schools are good, and that the apres-ski scene is lively. This unpretentious French resort is all about convenience - purpose built in the 60s, it isn't the prettiest of towns, but it makes up for it with easy to access ski slopes, ski lifts and plenty of parking. And it's incredibly easy to get to, flying in from Geneva. 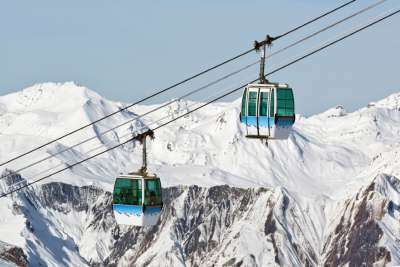 Three free lifts let you try out the slopes before you commit to a ski pass! We're going a little off-piste to head north to Norway, where the ski scene is well set for beginners. At quiet Geilo there are no crowds in your way while you attempt to stay upright. Instead there are instructors speaking impeccable English, gentle slopes that are well maintained and activities like dog-sledding if you fancy a day off. This vast French resort is well laid out for skiers of all abilities. 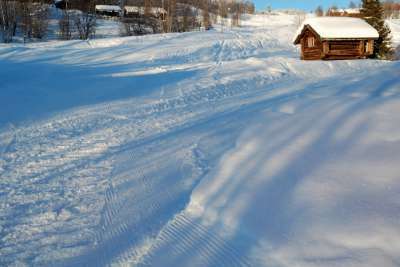 For beginners that means easy to access 'ski tranquille' zones - where you can learn without having to duck out of the way of more seasoned skiers and boarders. 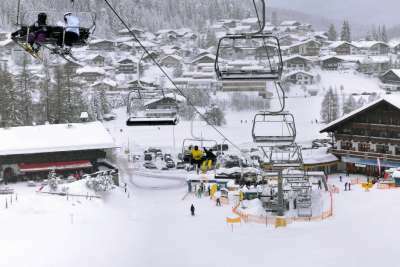 There are also around 10 free-to-use beginner lifts and loads of gentle cruisy blue runs. 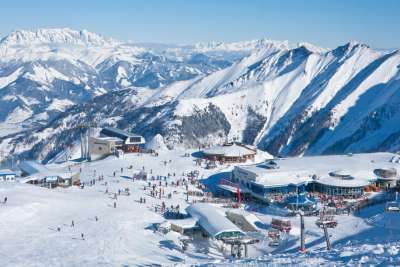 Even if you've never skied or snowboarded before you'll find plenty of variety at Kaprun in Austria. 14km of the total 20km of runs are rated easy - so you have the pick of the valley. Accommodation is often in large family chalets, which have the advantages of being both affordable and suited to fun-filled group getaways. This pretty Alpine Swiss resort is known for some of the toughest downhill slopes around - but beginners will find gentler options too. 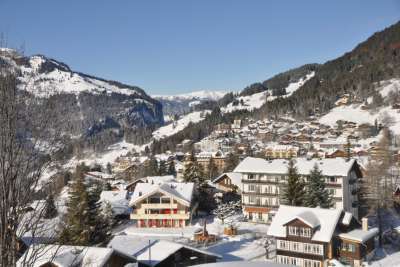 There are nursery slopes right in the village, and more above neighbouring Grindelwald. 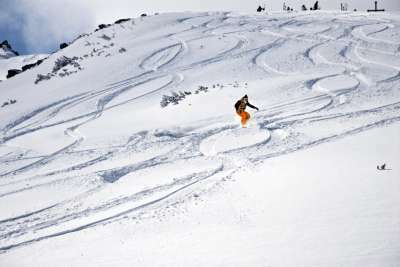 Wengen also works for beginner borders, with plenty of slopes that make a good progression. Get to grips with the basics at the nursery slopes in Melezet and Campo Smith before advancing to long blue runs up in the Italian Alps. Bardonecchia is a large town with plenty going on, the skiing is over a sunny valley, and it all tends to be more affordable and quieter than its Swiss and French counterparts. 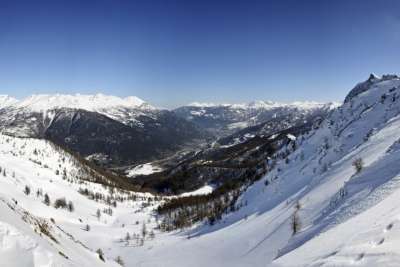 This extensive French resort has a wide range of slopes that will suit skiers of all abilities, but key for the beginners is that there are learning slopes located right beside the village. There are more on the glacier up the mountain, so you can advance to slopes with spectacular scenery when you're ready.